Have you ever looked at the ocean and wondered what lies beneath the surface? You’re not alone. According to the marine biologists behind the BBC’s Blue Planet series humanity knows less about Earth’s oceans than we do about the surface of Mars. 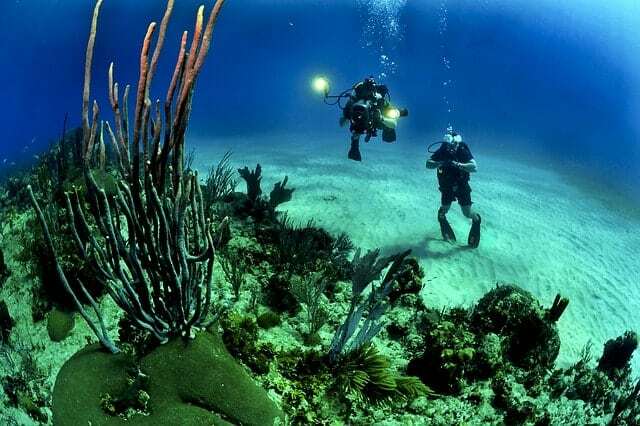 When you scuba dive, you are venturing into this unconquered world of wonders. We are going to help you get started on your aquatic adventure with a few basics of this awe-inspiring sport. 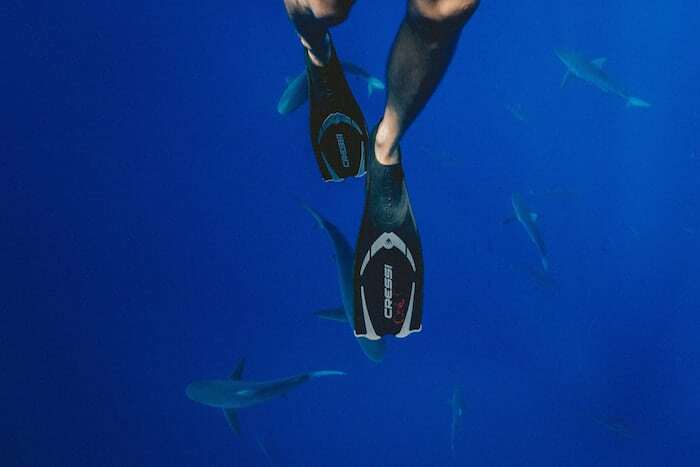 Contrary to what movies portray, diving is one of the safest activities in the world. 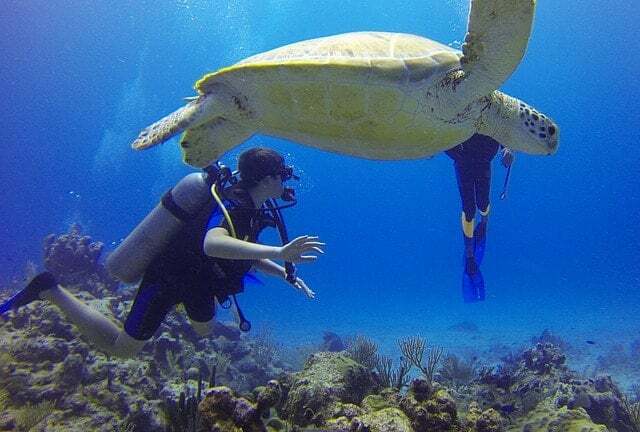 By following the four rules of scuba, you will significantly decrease any chance of danger. 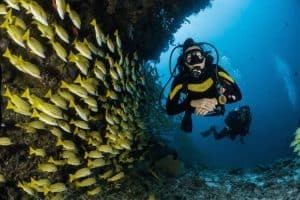 Of all the possible problems when it comes to diving, the majority can be avoided by merely breathing all the time. 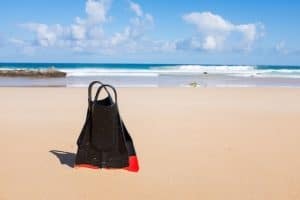 Using scuba equipment is the same as being on land, you breathe in and out in an even pattern. 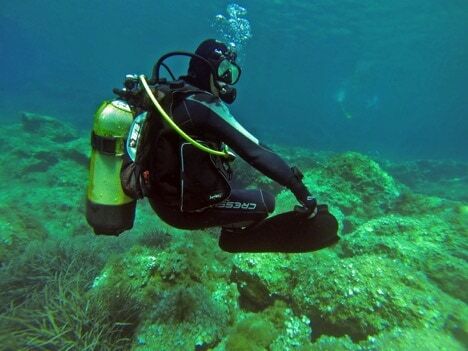 Natural, controlled breathing will let your body adapt to breathing compressed air underwater from a cylinder. Plus, it will help you remain calm and comfortable under the waves. Diving is a social activity. When you become a diver, you join a worldwide community of bold adventurers that love to eat, drink, swap stories, and of course scuba dive. 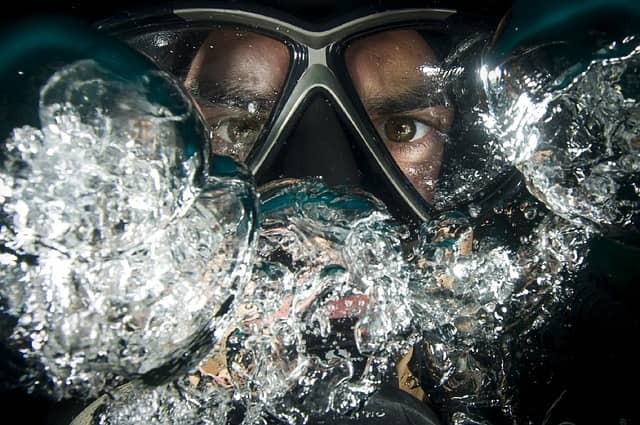 When you dive with a buddy, your buddy has an extra set of eyes in the water to avoid potential dangers. Also, people are more likely to believe your story about that pod of dolphins you swam with if you have a buddy to back up your tale. Buoyancy is how much you float or sink in the water. Controlled buoyancy lets you glide like a manta ray through the ocean and keeps you from dropping to the bottom like a rock or rocketing to the surface. A good scuba instructor will help teach you how to dive like a fish. This rule is probably the hardest of the four. You will see so much underwater that you will be tempted to grab, touch, and take. To help keep yourself safe and our oceans healthy, it is best to leave things underwater where they are. The exception to the rule is trash. You are always welcome to remove garbage from the seafloor. 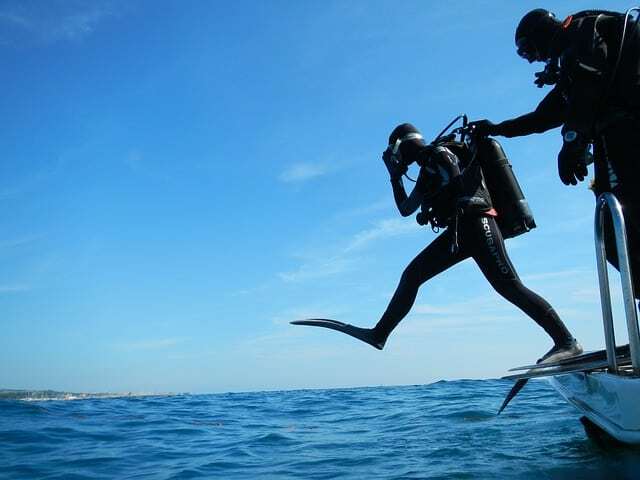 Diving uses a specialised set of equipment to help you navigate the underwater world. Here is a quick intro to each piece of equipment. The big metal thing on your back that holds the compressed air you will be breathing underwater. Also called the air delivery system, its function is to take the air from the cylinder to your mouth. It connects to the top of the cylinder and feeds the air through a hose to your airway. 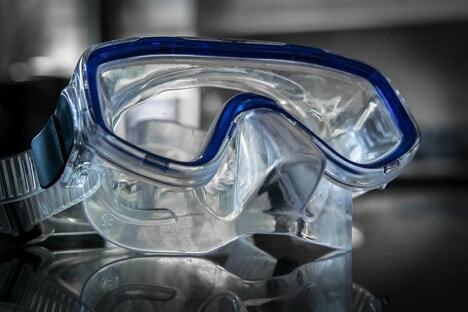 The mask covers your eyes and mouth and allows you to see underwater. 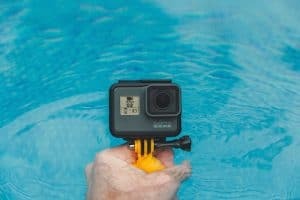 These puppies propel you through the water with ease. Sometimes they are called flippers. 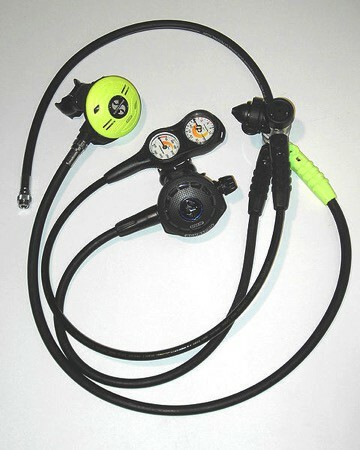 The analog gauges and digital computers in scuba give you all the info you need underwater. 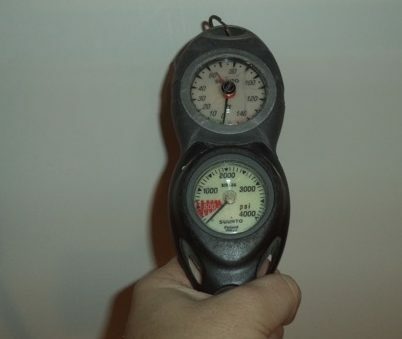 Depth, time underwater, amount of air remaining, and compass direction are all included in what is called the information system. Your suit is what protects you from getting cold, sunburns, and accidental contact with rocks and reef. 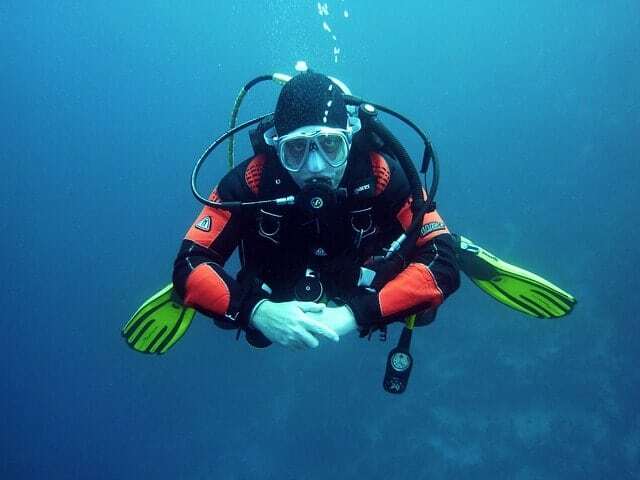 Suit thickness ranges based on water temperature and diving conditions. 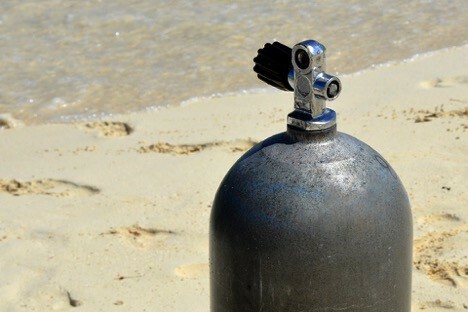 The Buoyancy Compensator, BC or BCD for short, is what you use to float like a jellyfish. We also use it to carry the cylinder and bring cameras and flashlights with us underwater. Now that you know some basics it’s time to get wet. You can start diving by contacting your local dive shop. 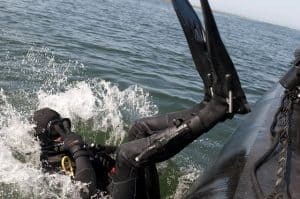 If you aren’t certified, you can only dive with a certified professional. After a short class, you will off and exploring the vast unknown of the ocean.